From breakfast and lunch to dinner and brunch, there’s an endless array of healthy meals that can be made with protein powder. But why focus on the main course when you can jump right to dessert? 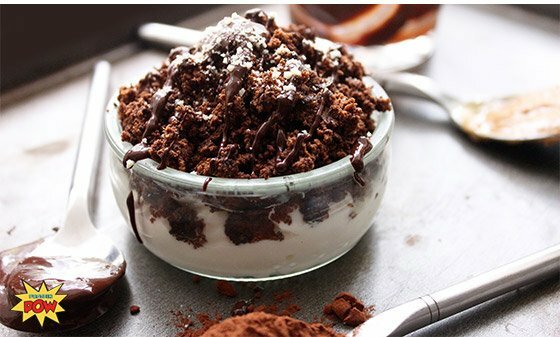 Make your own protein bars and truffles, or tuck into a decadent pot of gooey chocolate that pleases your taste buds. Snack on homemade protein cookies; they deliver nothing but goodness to your system. 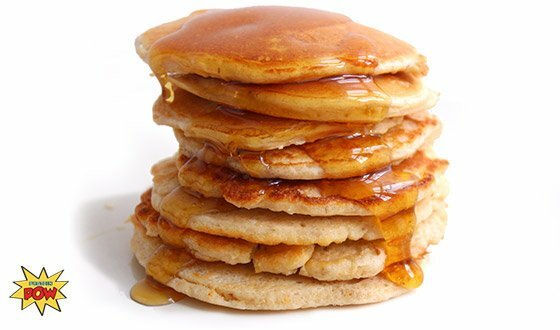 You can even wake up to the sweet aroma of protein pancakes, top them with bacon, and drench them in sugar-free syrup. There’s no limit to the number of things you can make with protein powder. Do you know what the best part is? Making these recipes is easy—dead easy. It’s as easy as whipping up a few ingredients, baking or pan-frying them, and chowing down. Once you start cooking with protein powder, your diet will never be the same. Gone will be your cravings for sugary sweets, your desire to reach out for expensive store-bought chocolates, and your habit of seeing protein powder as just the basis of a shake. I mean, sure, protein shakes are good, but when you start thinking outside the bottle, a world of possibility unfolds before your eyes … and mouth! Who doesn’t hear the chimes of the ice cream truck when they think of Orange Dreamsicles? That creamy, vanilla ice cream covered in a layer of tart orange ice—delicious! Wrap yourself in nostalgia and channel the dream of eternal summer with this protein-filled concoction. 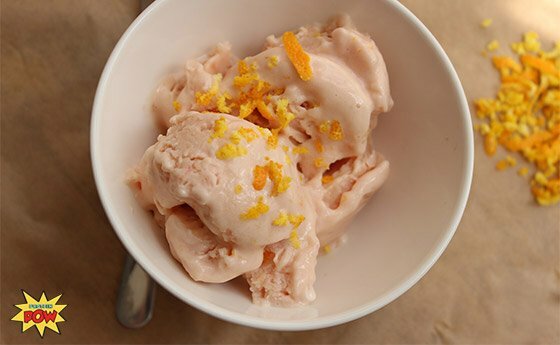 This might just be one of the easiest protein ice creams you can make. All you need is two ingredients—or three if you feel like kicking it up a notch. It’s a great way to cool off post-workout, after dinner, or anytime the mood strikes you. Blend all ingredients together until mixture becomes creamy. Place Tupperware in freezer for 40 minutes. After 40 minutes, remove Tupperware from freezer, churn with a fork to break up any ice that might have formed, and place back in freezer. Repeat steps three and four until mix gets to a point where it can be scooped out with a spoon or ice cream scooper. When I first made—and tasted—these truffles I thought, “Is this for real?” You look at the ingredients and macros, take another bite of the truffles (OK, devour a few), and realize that things don’t seem to add up. The truffles are just so decadent that’s it’s hard to believe they’re actually good for you. Try them for yourself and you’ll see what I mean. Blend all ingredients together using a handheld blender or food processor. Shape batter into little balls or truffles. If batter is too sticky, add a bit more cocoa or coconut flour until it softens and has a malleable consistency. Melt dark chocolate in a bain marie: a glass bowl on top of a pot of boiling water. Cover truffles in melted chocolate, and refrigerate for 1-2 hours. Talk about starting the day off right. This stack of flapjacks screams indulgence but is fit for breakfast—it’s the best of both worlds, really. You don’t have to wait for your birthday to make these pancakes, either. But if it happens to be your birthday—or someone else’s, for that matter—why not wake them up with a stack of these pancakes? You can stick a candle on top, add some crispy bacon on the side, and pow—kick the day off with a protein party! Heat some coconut oil or low-cal spray on a nonstick pan. Turn heat to hot—sizzling hot. Spoon batter onto pan and turn heat to medium. Make the pancakes small, to ensure they’re easy to flip. Don’t flip pancakes until bubbles start appearing, or they’ll break apart and turn to mush. Top with maple syrup, Walden Farms zero-carb spray, nut butter, fresh fruit, or whatever your heart desires! Place cookie ingredients in a food processor and blend together until they form a paste. Shape mix into 6-10 small balls and flatten each one on a baking-paper-lined cookie tray. Bake at 350 F (175 C) for about 7-10 minutes, or until cookies are cooked through. Do not overbake. It’s best to take them out while they’re still soft in the center, because they tend to set a bit more as they cool. To assemble cookie pots, layer 1/2 cup Greek yogurt into ramekins. If you don’t mind adding a little extra fat, you can use ricotta or mascarpone, too. Crumble a cookie and sprinkle it on top. Add some melted dark chocolate and top with 1/2 tbsp ground almonds. Ta-da! It’s delicious goodness in a bowl!